Overlooking the peaceful waters of Tampa Bay, Safety Harbor Resort and Spa is a one-of-a-kind destination rich in history and hailed for exquisite hospitality. Stunning chandelier-lit ballrooms glimmer with regal elegance, a lush Tranquility Garden quietly lulls and the Espiritu Santo Springs enliven the mind, body and spirit. 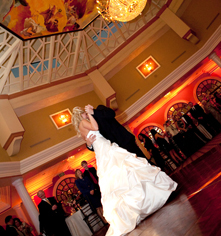 The happy couple's special day will be filled with magic and memories at the historic Safety Harbor Resort and Spa. Discover true romance at the historic Safety Harbor Resort and Spa and envision a day unfolding at Tampa Bay’s premier resort, located on 22 acres of pristine waterfront. 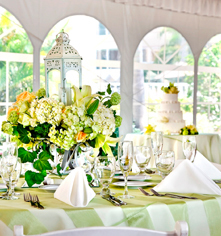 This is the ideal setting for a truly memorable wedding and reception. 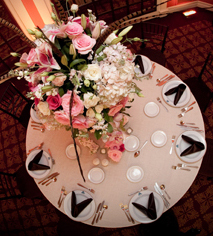 Whether planning a small, intimate ceremony or a festive reception, no detail is too small. Add special memories to an album spanning over half a century at the Safety Harbor Resort and Spa.